When you see this Valentine’s Day card template at the first sight, you will understand how suitable it is to make some card designs as sweet Valentine's Day gifts for this special holiday. Its heart images and xoxo words against the pink background are full of love. 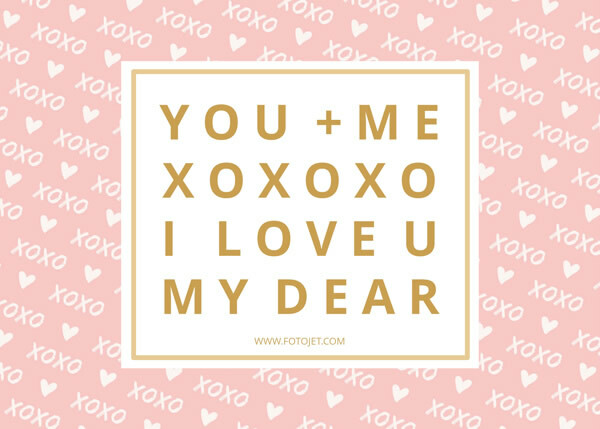 Besides, in the central part of this valentine’s day card template, it set aside ample place for you to add your heartwarming words. Simply change the default text into yours with the editing tools. You can add a more personal touch such as uploading a photo of you and your loved one.